From the latest developments of Nex Medical Laboratories, a new and advanced range of medical devices dedicated to disinfection & decontamination of instruments, high level disinfection and surfaces disinfection. Sodium Perborate Concentrated water soluble disinfectant/sterilizant powder for Medical Devices. Decontamination, cleaning and high level disinfection. Active powder which originates a detergent, disinfectant and sporicidal solution for Medical Devices (surgical instruments, endoscopes, laparoscopes, breathing apparatus and devices for anesthesia). Concentrated solution of Polyphenols Polyvalent concentrated disinfectant solution for Medical Devices, tools and surfaces. Decontamination, disinfection and cleaning of surgical instruments and laboratory equipment (tools and glassware). Enzymatic – based cleaner Enzymatic based cleaning solution (concentrated) for Medical Devices, in vitro diagnosis instruments, and glass/rubber/plastic devices. 1 lt bottle Indicated to dissolve and remove organic residuals (blood, saliva, exudates, etc) on the surfaces of surgical instruments, metallic and not metallic devices, endoscopes, laboratory glassware ultrasound machines. Enzymatic – based cleaner Multi-enzymatic cleaning solution (concentrated). With mint scent. 1 lt bottle Indicated to dissolve and remove organic residuals (blood, saliva, exudates, etc) on the surfaces of surgical instruments, metallic and not metalling devices, endoscopes and laboratory glassware. Ready to use disinfectant for Medical Devices. 1 lt bottle Aseptic preservation of surgical instruments and other sharp or metallic instruments; emergency or extemporaneous disinfection of surgical instruments. 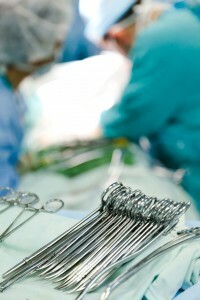 Complete disinfection of surgical instruments. 1 lt bottle Preservation of aseptic surgical instruments and other sharp or metallic instruments; complete disinfection of surgical instruments. Benzalkonium Chloride Concentrated disinfectant for Medical Devices. 1 lt bottle Cleaning and decontamination of surgical instruments before their sterilization; cleaning and disinfection of not critical Medical Devices and laboratory instruments. devices, in particular optic fibers instruments. Cold chemical sterilization (sporicidal, mycobactericidal, fungicidal, virucidal and bactericidal activity at room temperature) of surgical medical instruments, endoscopes and heat sensitive instruments. ESONEX G1 SOLUTION Glutaraldehyde Disinfectant and cold sterilizer for Medical Devices. For disinfection, cold sterilization and aseptic maintenance of Medical Devices (sharp metallic instruments, rubber/plastic instruments, instruments with ocular lenses, endoscopes). Especially suitable for the machines to wash endoscopes. Ready to use product for surfaces and objects. 1 lt bottle with trigger spray Disinfection of handpieces, surfaces, equipment, shelves, lamps, etc. Disinfectant wipes for operative uses. 100 wipes dispenser Disinfection of handpieces, surfaces, equipment, shelves and alcohol resistant devices in the hospital sector. peripheral, such as needleless connectors, access doors, and tube portions. Central and Peripheral Venous Catheters. of external parts of the Needleless Connectors. swab-sponge allows a perfect cleaning & rubbing of the surfaces. The swab-sponge is single use.